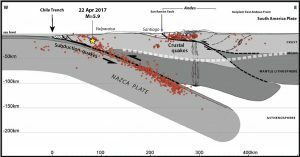 Subduction of the Nazca plate beneath the deformed and faulted South American plate, from Armijo et al. (2010). Santiago lies at the foot of the Andes. 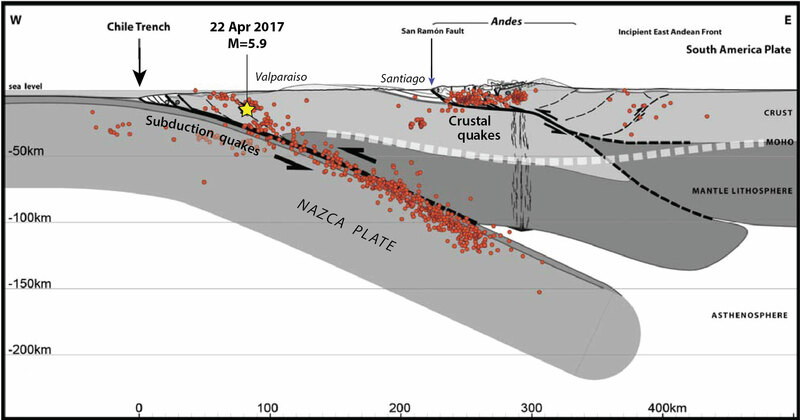 The red dots show the best-located M≥4.0 earthquakes during the period, 2000–2005, by Servicio Sismológico Nacional of Universidad de Chile.